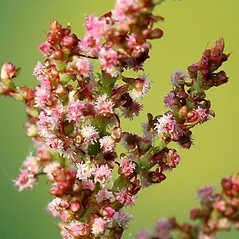 Common dock is an introduced weed of fields and roadsides. 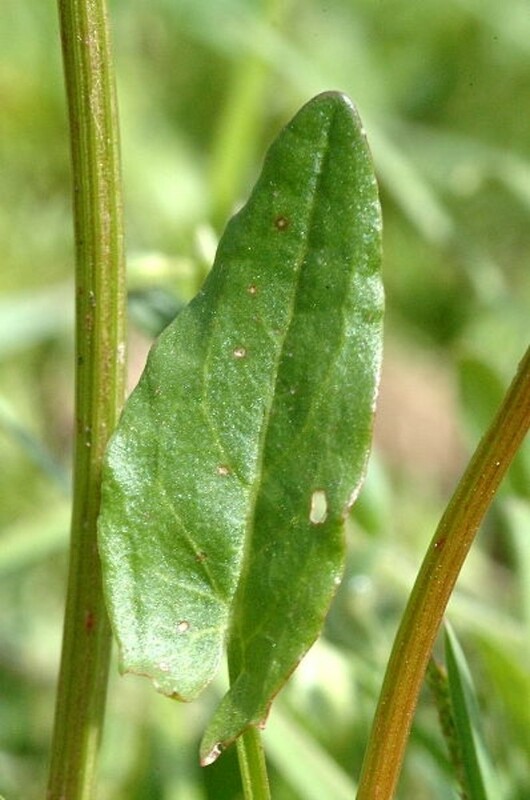 Also called sorrel, it is widely grown in vegetable gardens for its edible leaves. 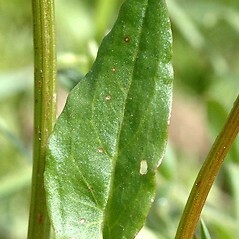 leaf blades predominantly hastate, inner tepals of carpellate flowers 1.2–3.5 mm long in fruit, none of them developing tubercles, and achenes 0.9–1.5 mm long (vs. R. acetosa, with leaf blades predominantly sagittate, inner tepals of carpellate flowers 4–6 mm long in fruit, at least 1 of the them developing a tubercle, and achenes 2–2.5 mm long). 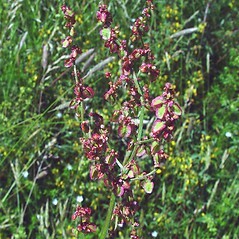 common dock. 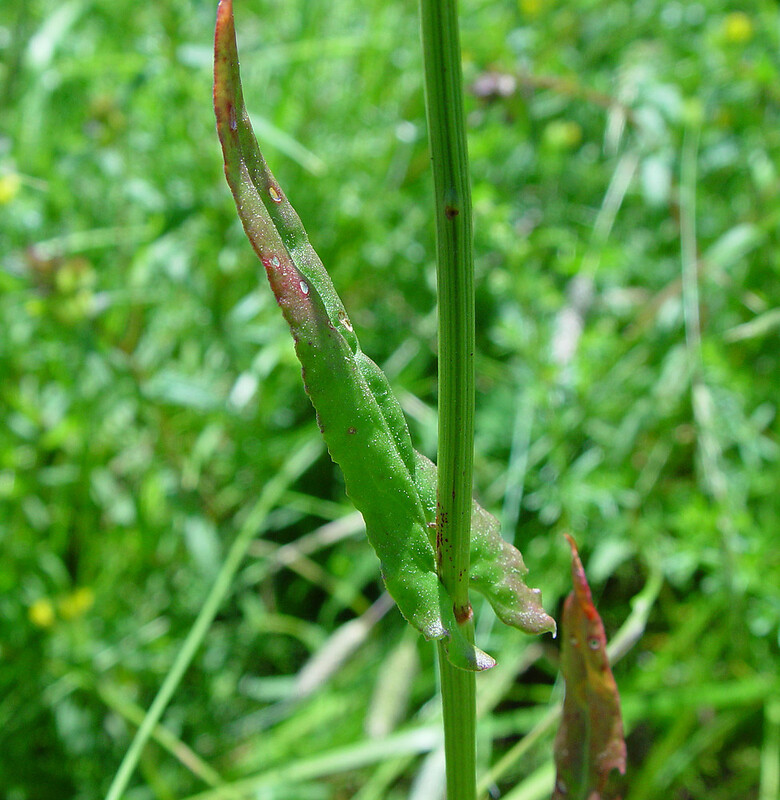 Acetosa pratensis P. Mill. 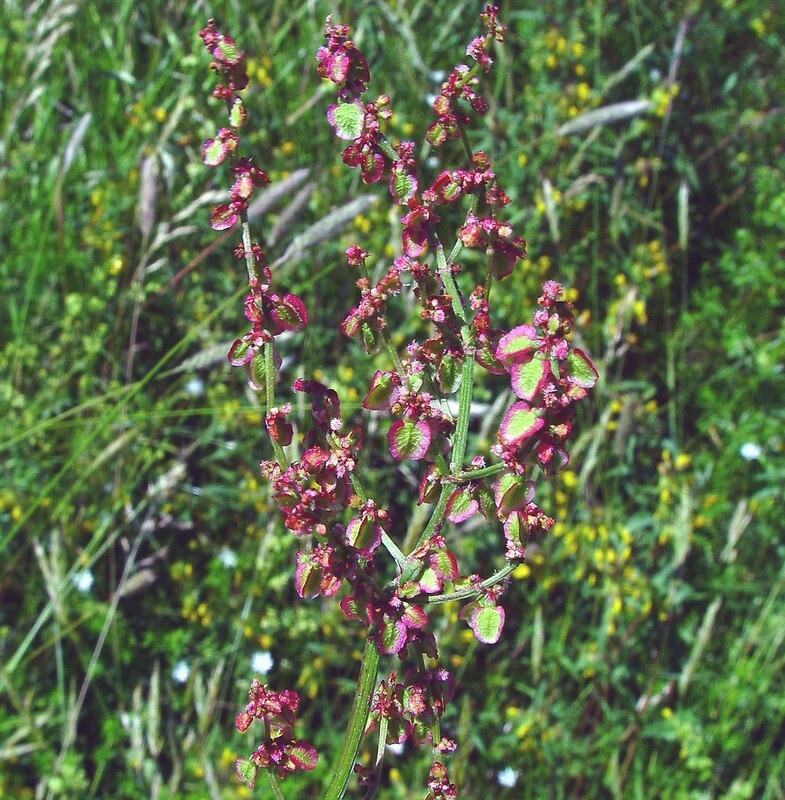 ; Rumex acetosa L. ssp. 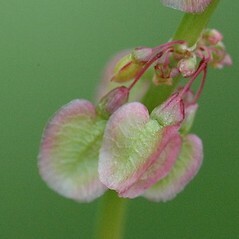 pratensis (P. Mill.) Blytt & Dahl • CT, MA, ME, NH, VT. Fields, roadsides. 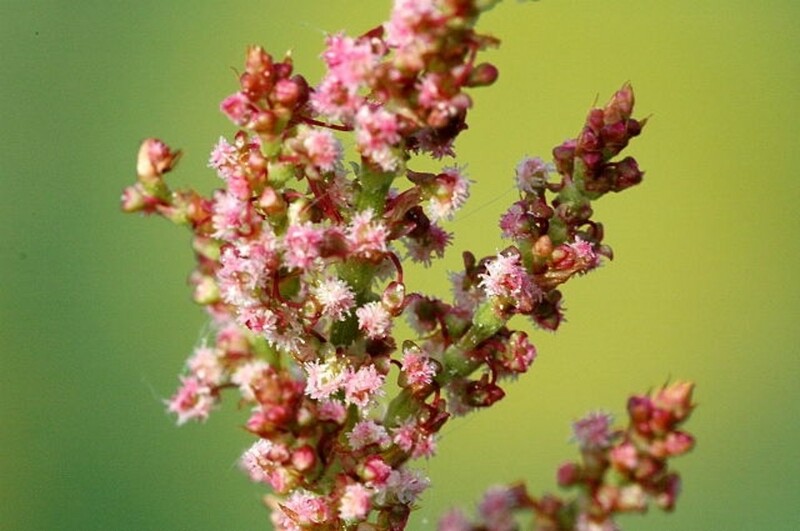 The report of Rumex arifolius All. 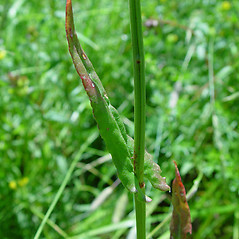 (as R. montanus Desf.) 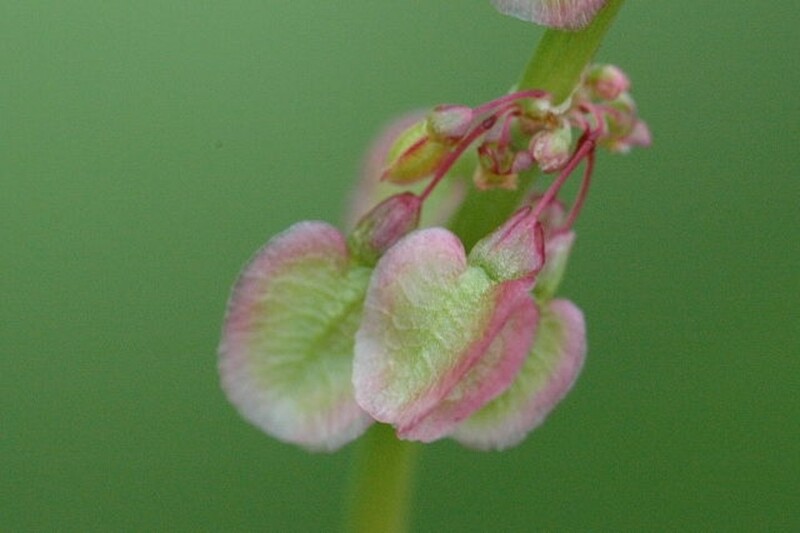 in VT by Dole (1937) was based on a specimen of R. acetosa.